Foresight Engineering performs a unique and valuable service. Foresight Engineering inspects homes utilizing professionally accepted standards to accurately report the condition of the physical components and structures of the subject home. The home you purchase is most likely the largest asset you will ever own, and certainly the most important for your future happiness. Using Foresight Engineering means knowing in advance those important aspects and conditions of your home which can affect your peace of mind and the value of your investment. We are a comprehensive, experienced home inspection service specializing in property evaluations for the residential and investment purchaser. Convenient: Complete evaluation with a single inspection appointment. Professional: All our inspectors are experienced and are college degreed. Prompt: Fast, comprehensive reports and certifications. Personal: Customized, detailed reports. You are encouraged to accompany the inspector. 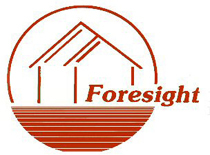 Foresight Engineering does not judge or evaluate the home for cost or value, but does report to you, objectively in writing the specific condition of the subject home's physical systems. Detailed, well written reports and certifications. One day processing on Radon tests. A home inspection is an independent, unbiased review and report on a homes systems, components and their condition. Consumers and real estate professionals should expect no less than full professionalism, education, competence, credentials, knowledge, and courtesy. Please take the time to look through the Foresight Engineering web site. We've included a wealth of information which will help you better understand the ins and outs of home inspection, and we hope this information will be useful to you. If you would like to Schedule an Inspection, or if you want to Request a FREE Inspection Quote, and we'll be in touch shortly to arrange an appointment or an inspection quote at your convenience. Serving these NJ Towns: Flemington, Clinton, Annandale, Somerville, Bridgewater, Brancburg, Whitehouse, Stockton, Frenchtown, Phillipsburg, Hopewell, Ringoes, Glen Gardner, Hampton, Lambertville, Greenwich, Lebanon.